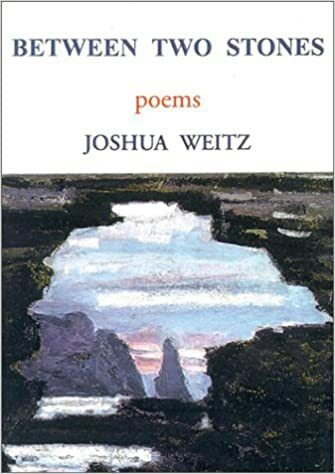 At the boundary between the known and the unknown lies Joshua Weitz. The 2018 Distinguished Magnet Alumni guest speaker presented his work and experiences at the 26th annual Magnet Research Convention on January 11, 2018. Graduating from the Blair magnet program in 1993, Weitz continued his studies at Princeton University and earned his Ph.D. in physics at MIT. Now, as an elected fellow of the American Association for Advancement of Science (AAAS), Weitz has published nearly 100 peer-reviewed articles, and continues to teach and conduct research as a biology professor at Georgia Tech (gatech.edu). Currently, his research employs both viral ecology and quantitative principles to take strides towards phage therapy, an alternative to antibiotics that is quickly gaining popularity. His group focuses on the central question—“How do viruses transform human health and the fate of our planet?”—to delve into the interactions between pathogenic bacteria, phages that target bacteria, and the human immune system. By focusing on this tripartite interaction, he is able to uncover how each involved organism is affected. Furthermore, his approach to these interactions is broadly conceptual, allowing him to translate his results, which mostly surrounded Pseudomonas aeruginosa in recent studies, to other sets of microbes and their hosts. More specifically regarding phage therapy, Weitz’s research group uses bacteria-killing viruses, or phages, to treat antibiotic-resistant bacterial infections. This is a promising method in theory, but there are still several unknowns attached with the underlying mechanisms and the long-term effects of treatment. Weitz details these concerns, stating, “We weren’t quite sure how phage therapy works; you have a virus that kills bacteria, but the virus needs the bacteria to propagate, so then when it starts to become effective, the phage may itself disappear.” With these uncertainties in mind, he acknowledges that core research must be carried out before implementing phage therapy as a short-term treatment. Of course, there are always potential issues with utilizing live agents as therapeutics in terms of harmful mutations, but some phage-derived products, such as lysates, are already used for applications in food safety. Leung CYJ, Weitz JS. 2017. Modeling the synergistic elimination of bacteria by phage and the innate immune system. Journal of theoretical biology, 429, 241-252. Beckett SJ, Weitz JS. 2017. Disentangling niche competition from grazing mortality in phytoplankton dilution experiments. PLOS ONE, 12:e0177517. Eksin C, Shamma JS, Weitz JS. 2017. Disease dynamics in a stochastic network game: a little empathy goes a long way in averting outbreaks. Scientific Reports, 7:44122. Bucksch A, Das A, Schneider H, Merchant N, Weitz JS. 2017. Overcoming the Law of the Hidden in Cyberinfrastructures. Trends in Plant Science, 22(2):117-123. Sullivan MB, Weitz JS, Wilhelm S. 2017. Viral ecology comes of age. Environmental Microbiology Reports, 9(1):33-35. In Weitz’s lab, they recently infected mouse models with P. aeruginosa and further used mathematical models, eventually showing that phages do not act alone. This study combined quantitative reasoning and viral ecology, including preclinical experimental data to characterize the aforementioned tri-part interaction. When Weitz reflects on the interdisciplinary nature of his research, he cites his humble beginnings as the Blair Magnet Program. Focusing on physics, math, and computer science courses at Blair, Weitz credits magnet curricula with teaching him to reason quantitatively and think logically; he believes the program ultimately exposed different approaches and changed the way he thought. To this day, engaging and challenging courses such as Air Tracks (an introductory physics course) and Quantics (a course taught by visiting physicist Harvey Alperin), as well as his research, remain deeply influential. For Weitz’s senior research project, he interned at the David Taylor Model Basin, studying how fluids behave as submarines navigate through the water. Beyond a hands-on opportunity to code with data, the experience enabled him to help a group of researchers advance their research. Additionally, Weitz worked with his physics teacher, Mr. Ralph Bunday, to study binary mass transfer between two stars. Weitz’s research eventually gave him the opportunity to form a research group at Georgia Tech. As he began to engage with students and postdocs about his research, Weitz realized he was having the same introductory conversation over and over (e.g. explaining how the system worked, what was currently known, what were the open questions, etc.). To not only facilitate the process of familiarizing incoming students, but also reinforce his own knowledge, Weitz took a year-long sabbatical, spending each day researching and writing. 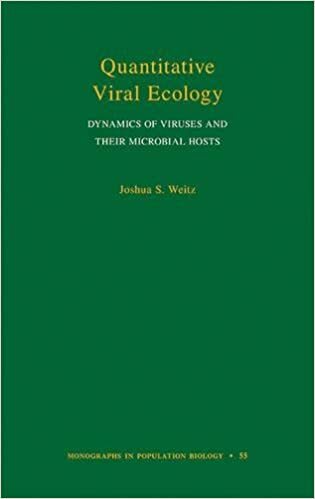 His book, Quantitative Viral Ecology: Dynamics of Viruses and Their Microbial Hosts, won the Royal Society of Biology’s 2016 Postgraduate Textbook Prize. Writing the book has helped Weitz reaffirm his passion for pursuing quantitative viral ecology, as well as realize a new slew of questions. Aside from researching and teaching, Weitz enjoys cooking, playing tennis, and coaching soccer. In 1993, Weitz served as the Editor-in-Chief of Silver Quest, which was then a research journal featuring the work of fellow magnet students. In college, his interest in creative writing flourished as he took poetry courses, eventually inspiring him to work with professor Paul Muldoon to publish a poetry book entitled Between Two Stones. With heroes ranging from Albert Einstein and soccer player Miguel Almirón to the diverse cohort of mathematicians, biologists, computer scientists, and ecologists that surround his work environment, Weitz implores magnet students to embrace novelty—in approaching scientific research, in exploring new subject areas, in discovering the unknown. Although the saying goes, “Jack of all trades, master of none,” Dr. Joshua Weitz not only has a Ph.D. of his own, but also guides students toward mastering their own crafts.